Soviet animal spaceflight tests. Exhibit display model of an ejectable capsule used for animals during early Soviet spaceflights. 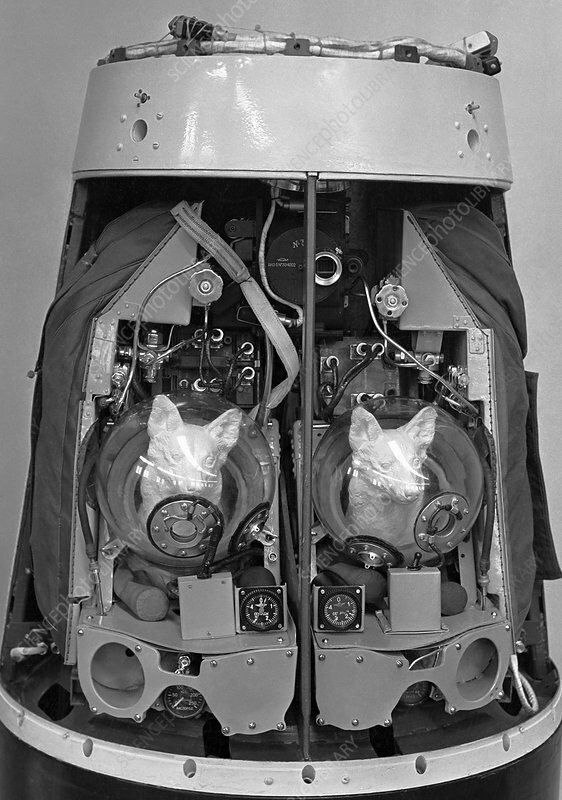 During the 1950s and 1960s, numerous suborbital and orbital spaceflights involving dogs and other animals were launched by the Soviet Union. All the dogs used were female strays. This model (showing two dogs) was exhibited in 1965, at the Space Pavilion of the All-Union Exposition Centre, Moscow, Russia.